This post is part of series of posts discussing about Semantic Logging Application Block [SLAB]. Earlier we have discussed about how we can push the log data to file and SQL Server storage. 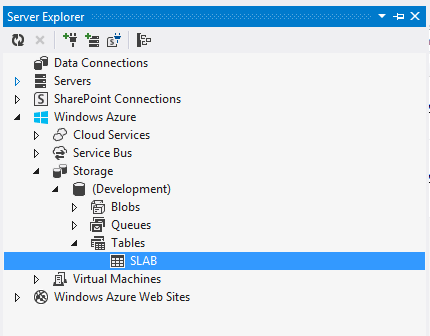 In this post we are discussing how we can use Windows Azure Table Storage as a destination of these logs. As we have discussed updating destination and format of the event data requires no changes in the application generating these ETW events if we are using out-proc consumption of these events. SLAB provides Semantic Logging Service. We can use it out-of-the-box to make all these necessary changes without event bringing the application down. 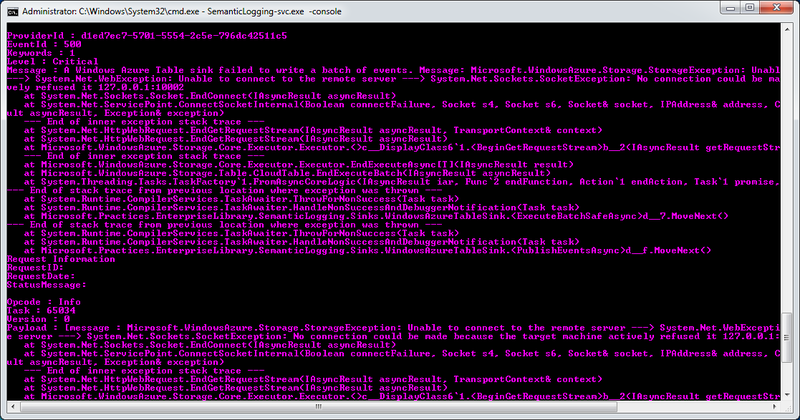 The configuration is done in SemanticLogging-Svc.xml configuration file for the service. Here we are using Windows Azure Storage Emulator. 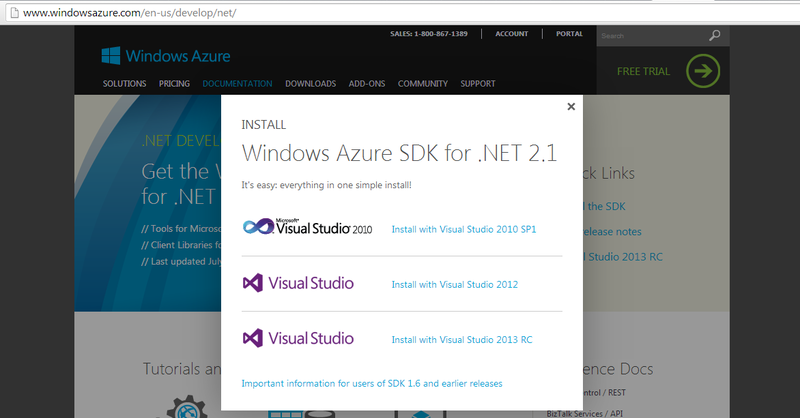 For our development machine, we first need to install Windows Azure SDK to run the above. 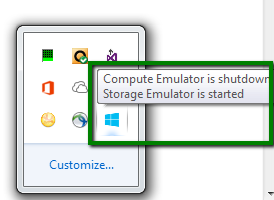 We specially need Windows Azure Storage Emulator running for this example. The emulator uses a default account key to test the application logic. 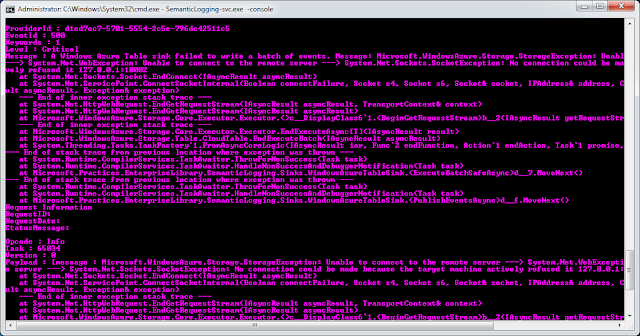 In absence of an emulator running on your machine, with the above configuration, you would see the following error in your Semantic Logging Service console. The SDK is currently on the version 2.1. We can download it from Microsoft Download Center. You can make a selection based on Visual Studio edition you are running on your development machine. It uses Web PI (Platform Installer) for the installation. Running the emulator is easy. We can find it in the start menu. In order to run it from the Windows Azure Command Prompt, we need to use its application name i.e. dsserviceldb. Just make sure that, it is running Table Storage service. We need it for Azure Sink as used in the example post. Now let us run the same application as used in the previous post. The application is generating two ETW events with an Id 1 and 2. As we run it, we should be able to see the SLAB table Development storage. 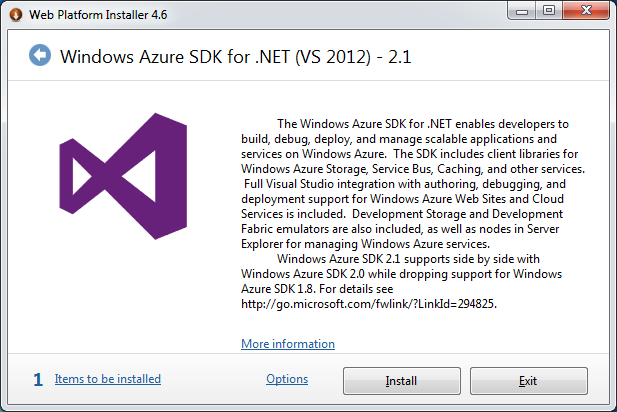 Here we are using the extensions installed in Visual Studio 2012 by Windows Azure SDK. But this seems a bit different than SQL Server sink data. Here it has added additional columns for the payload fields. 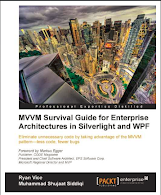 It is a union of all the fields for all the event types as used by the ETW Event provider defined with the help of EventSource in the source application.